Well the football is at last under way and as I battle with the technology I did find time to get a couple of snaps of me working Francois Botha ZS6BUU in a brief moment. I’m afraid they are not all that good, but maybe OK for a blog! Now I’ve actually aired ZS10/G4HPE, I’d better get around to ordering some QSL cards! That’s right, we here at Waters & Stanton in Hockley want to know what you think of us. We want to know what you think we do well, what you think we could do better, your ideas on how to improve our service, the successes and complaints, any products you would like us to stock that we currently don’t. Back in May, Jeff Stanton & Peter Waters headed to Dayton, Ohio in the United States for the annual Hamvention, and came back with lots of information on new products that we’ll be seeing in the coming months. 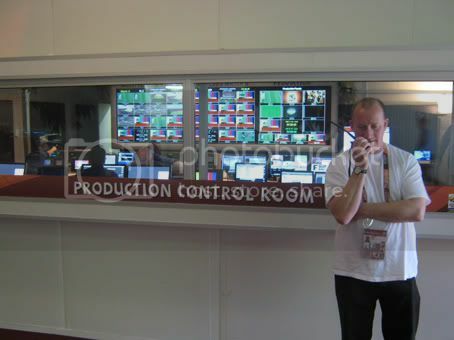 While they were there they also caught up with many of the amateur manufacturers as you can see below! 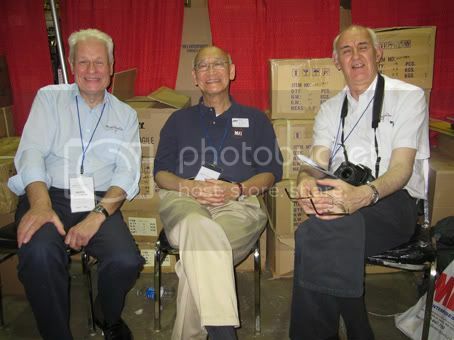 Jeff Stanton & Peter Waters with Martin Jue (centre), boss of MFJ Enterprises at the 2010 Dayton Hamvention. 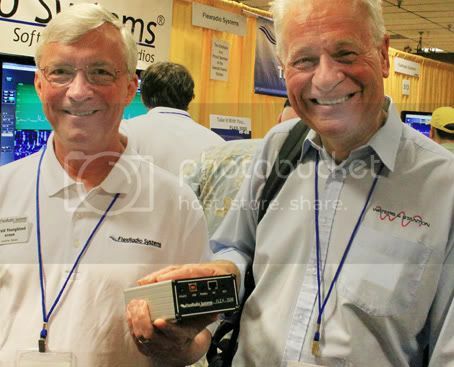 Gerald Youngblood (left) presents Jeff with the first Flex-1500, we’re expecting them in stock next week! 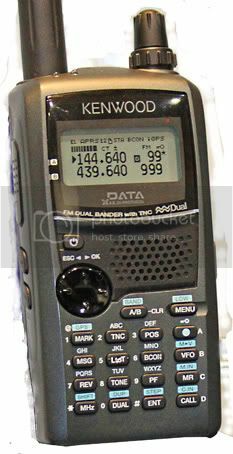 A selection of New radios first seen at Dayton Hamvention! 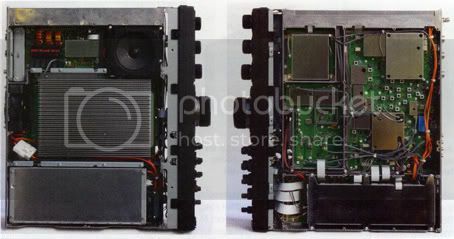 Yaesu FT-DX5000 on display (top) and inside (above). There was a great turn out for our 20th Annual Open Day last Sunday, and more exhibitors than ever with Yaesu, Kenwood, Icom, bhi, Essex Repeater Group, Colchester Amateur Radio Society and Mark Sanderson M0IEO (RSGB Area Manager) all in attendance. The weather was excellent, and the Service Deptartment sold all their bits & pieces on the outside stalls. 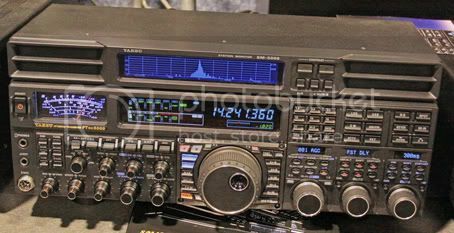 We were very pleased that there was lots of interest in the new FT-DX5000 which we had on display courtesy of Yaesu, and this will remain on display in our shop for the next few days. We sold plenty of tickets for our Charity Raffle, raising £310 for Marie Curie Cancer Care, the prize winners are listed below. Everyone, staff & visitors had a great day, and we’d like to thank everyone who came along. Below are a selection of photographs from the day, but you can see more if you become a fan of W&S on facebook. 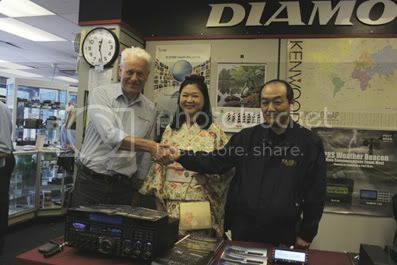 Yaesu’s Kumi (right) presenting Jeff with the New FT-DX5000. In the centre is Mikiko. 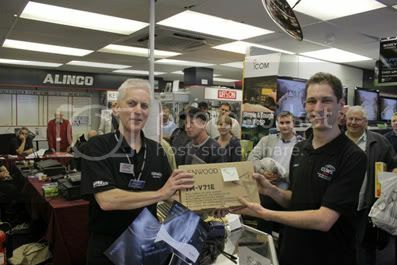 Kenwood’s Dave Wilkins presenting Rob M0VFC with his prize – a TM-V71E! You are currently browsing the Waters & Stanton Blog blog archives for June, 2010.